Its a poorly kept secret that the gang are voracious consumers of news of all kinds. I don’t keep an especially close eye on the back end as I haven’t the time but I just took a peek and decided to say hi. I do not know Special Agent Zummer but I know the story like the back of my hand. The same bad actors from Jim Letten’s office surface time and again, kinda like the turds that float on top of the bowl. One thing about Mustian’s story I wouldn’t put much stock in would be the opinions of local rent-an-ethicist / gasbag Dane Ciolino. Old friends, new friends and legal ethics back in the news….. I have a busy day on tap so I’ll simply direct everyone to the following and hope the lifers will fill in the gaps for everyone on some of the players because the following is too rich! Having competing newspapers in New Orleans rocks! 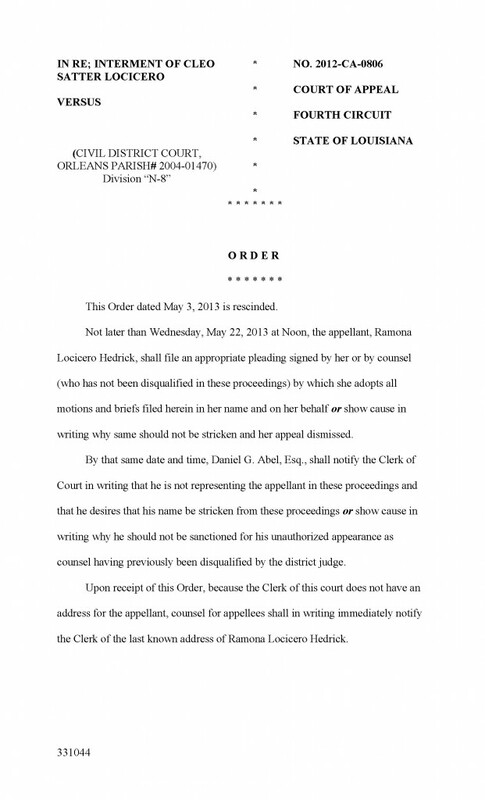 Author Douglas HandshoePosted on October 16, 2014 July 29, 2015 Categories SopTags Brian Trainor, Dane Ciolino, Legal Ethics, Office of Disciplinary Council22 Comments on Old friends, new friends and legal ethics back in the news…..
Look away! Its bad, very bad……. IMHO beyond money there is a law license on the line in this one. Click below to get the full 5 page suit. 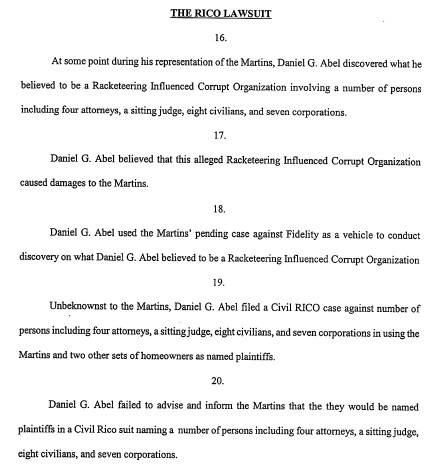 Author Douglas HandshoePosted on September 12, 2013 March 13, 2014 Categories SopTags Belo, Daniel G. "Danny" Abel, Defamation, Legal Department: Super 8 Motel, Legal Ethics, Legal Malpractice, Magee v Abel, Malicious Prosecution, Martin et al v Magee et al, Martin v Abel, WWL TV Channel 420 Comments on Look away! Its bad, very bad……. A case study in infantilization? Most call it basic professionalism. A Guest post from Mr Timeline. 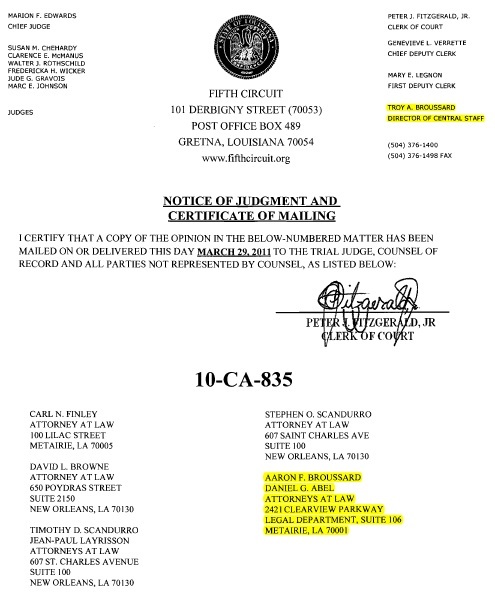 If Abel was not Broussard’s partner, he should have taken steps to have his name listed separately in the 5th Circuit’s records so that his name would appear separately on the attached documents. See highlighted parts. Abel is responsible for the confusion. He wanted his cake and to eat it too. When it suited and benefited him, he wanted to appear associated with Broussard. When the fit hit the shan, he wanted to appear disassociated. That’s exactly what lawyers are not supposed to do. 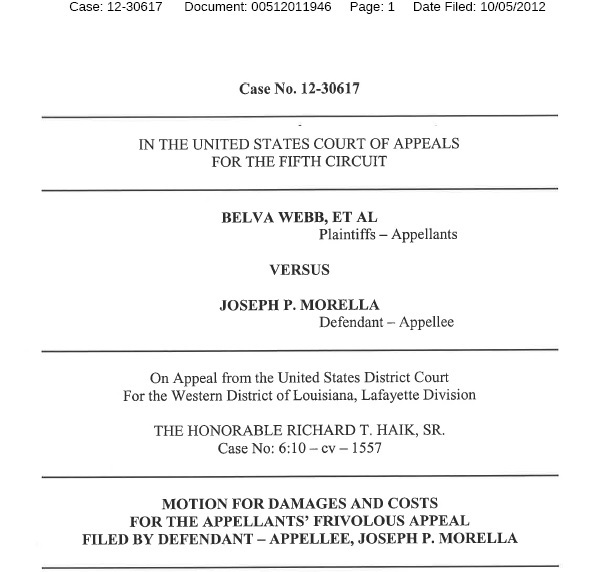 Author Douglas HandshoePosted on February 28, 2013 March 14, 2014 Categories SopTags Carr v Abel, Legal Ethics9 Comments on A case study in infantilization? Most call it basic professionalism. A Guest post from Mr Timeline.